SMOKE & GLASS is a game about magic, crime, and the difference between what's legal and what's right. WELCOME TO KROY: a modern juggernaut built on the bones of a fantasy kingdom. Under smokey skies, agenst of the law and criminal masterminds clash in a constant brawl for control over a world on the brink of change. The game is built with Fate Core mechanics. 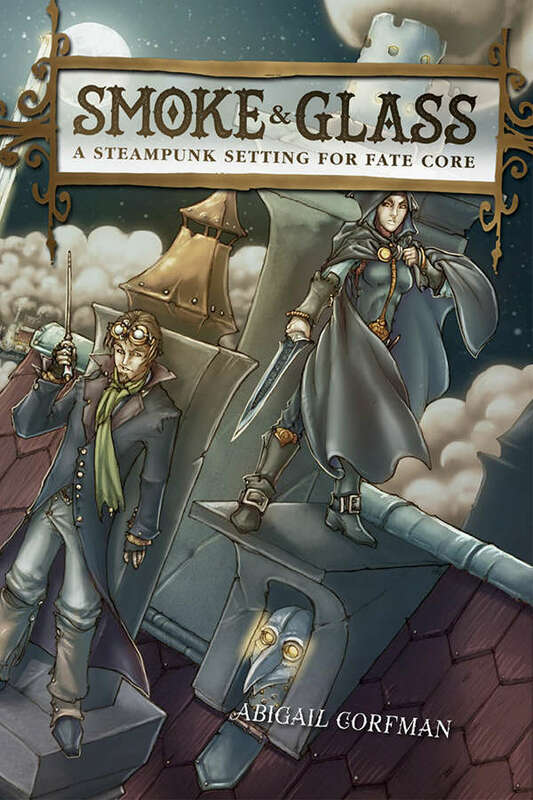 It features a class system, custom stunts, and new rules for magic. Purchase a copy at DriveThruRPG.